We’re thrilled to announce that the newest version of Sunbird’s DCIM Monitoring software has just been released. If you’re ready to upgrade to Power IQ® 5.2.2, simply download the update files from Sunbird’s support portal. This release follows our recent update to dcTrack®, our DCIM Operations software. Power IQ 5.2.2 provides the most user-friendly, secure experience to date with an updated, more modern look and feel. This version features multi-vendor support enhancements, Electronic Access Control for supported CPI doors and locks, GUI usability improvements, fixes for bugs and customer-reported issues, and security updates. Power IQ 5.2.2 provides centralized cabinet-level Electronic Access Control (EAC) for doors and electronic locks connected to supported Chatsworth Products, Inc. (CPI) PDUs. When you associate a supported CPI PDU that has door sensors in Power IQ, doors and door sensor mappings are automatically created without manual configuration required. Doors are created as siblings to the PDU in the EDM. 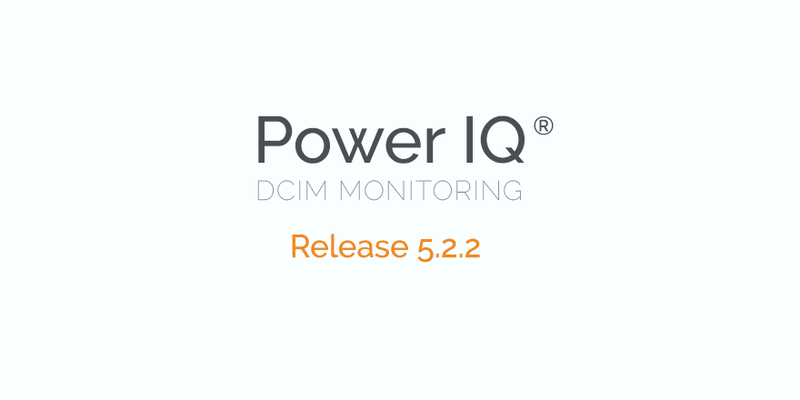 To reflect the wide range of data center items that can be managed through Power IQ, Release 5.2.2 introduces nomenclature updates to the GUI in cleaner, flattened tabs for a more modern look and feel. Power IQ can be used to monitor and manage a variety of items, including rack PDUs, CRACs, floor PDUs, floor UPSs, power panels, standalone meters, and environmental sensor aggregators. To provide a more secure web experience, TLS 1.0 is disabled in Power IQ 5.2.2. Due to this change, Microsoft Internet Explorer Versions 10 and below are no longer supported. For more information on these enhancements and improvements, see the release notes. To download the Power IQ 5.2.2 upgrade, you will need to have a valid maintenance contract and user login. To create an account, visit the support portal. Your email address and associated company information will be validated.